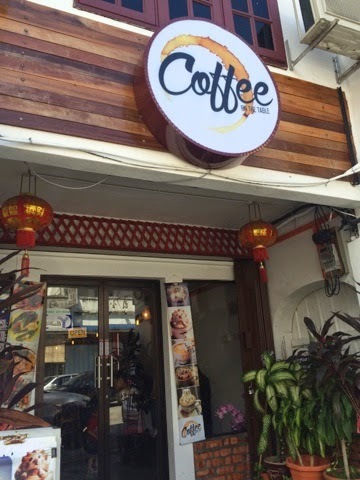 I got to know about this place from TimeOut KL, I love their iPhone app! It's just so convenient to look for good food around. And also my friend Catherine, she suggested that we must try this place! So, both of us headed there on a Saturday morning for a classy breakfast. It was a really funny experience actually. When we arrived there, we went into the lift and spent some time looking for the button. 2 thoughts crossed my mind. The lift has censor or maybe the lift does not take u up, but down. Haha! BIMBO! After some time, we found the button! As we arrived there, we are greeted by the pretty interior of the place. It's a classy and homy at the same time, sunny but not glaring, the interior looks like an artwork itself. The place uses steel, grey, and woody concept. Looks a lil like a construction site? Hot Mocha to kick start my day. My Cheese on Toast with Turkey Bacon. YUM YUM! Catherine's Mushroom and eggs. Their egg looks super cute!